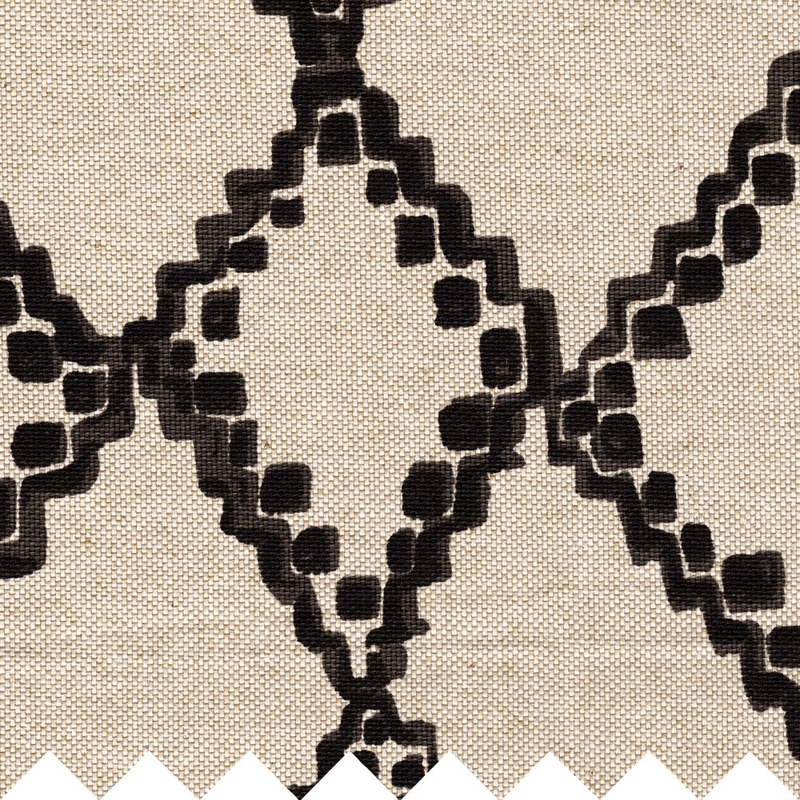 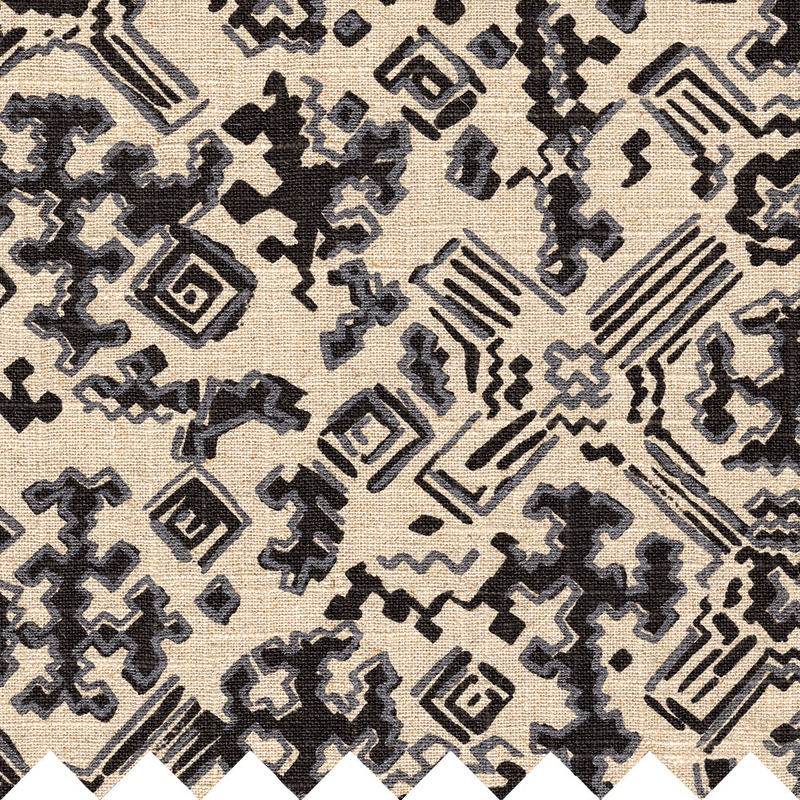 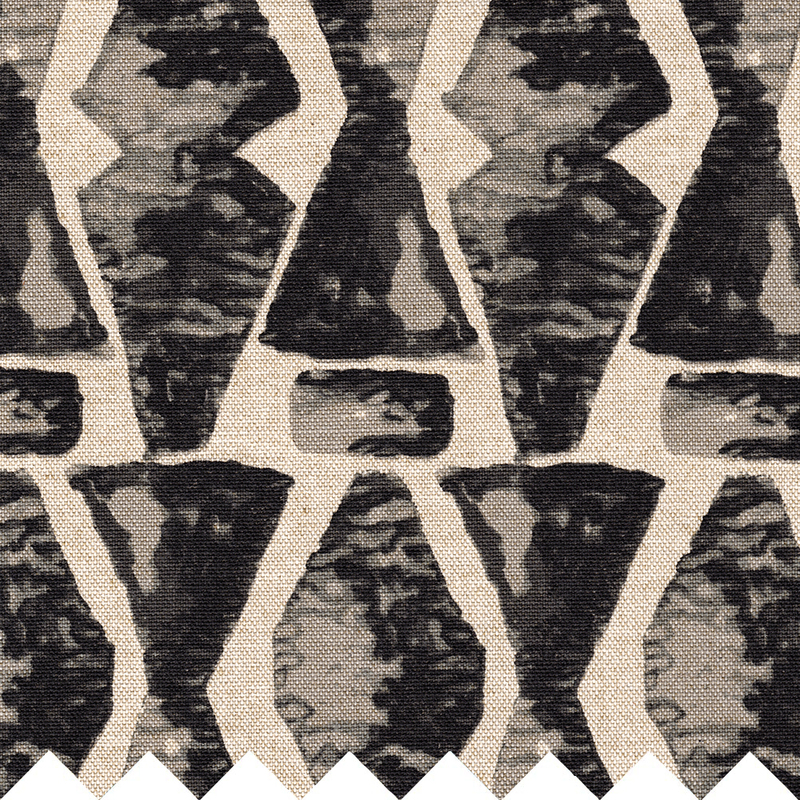 Nomad is a striking fabric that wonderfully illustrates a modern take on a tribal influenced design. 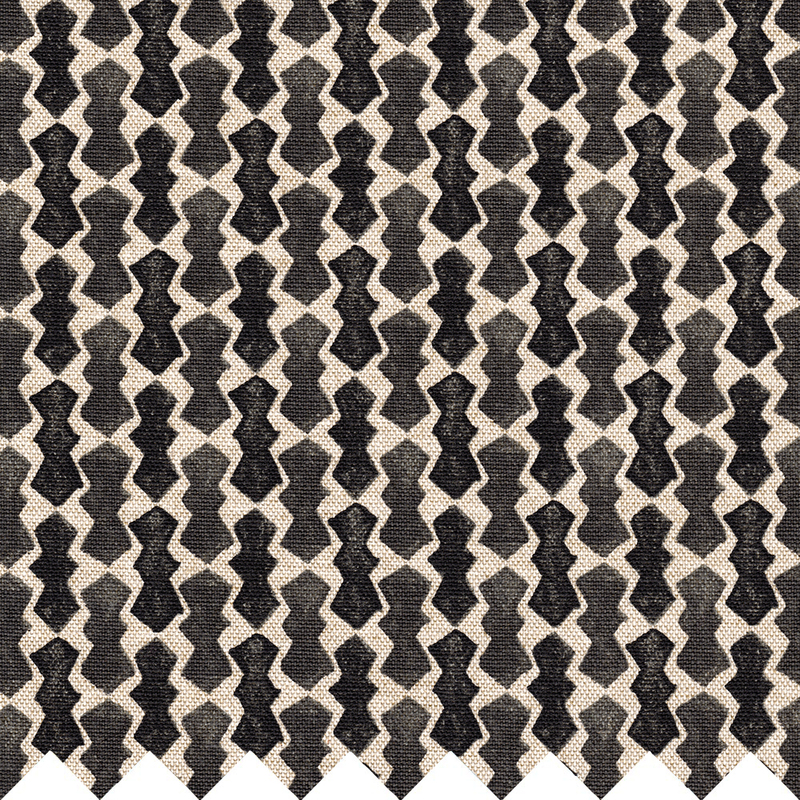 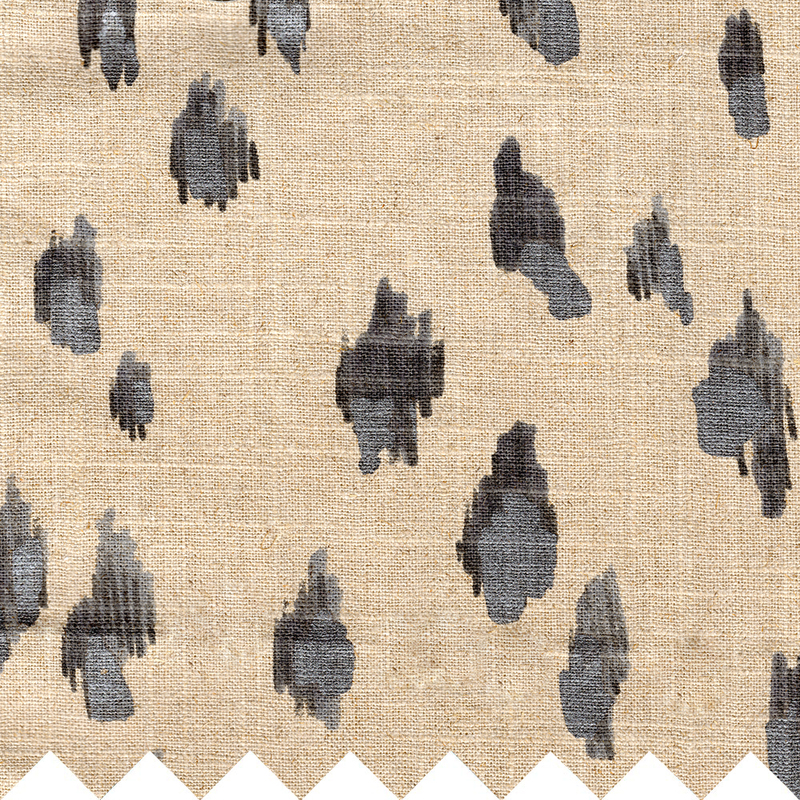 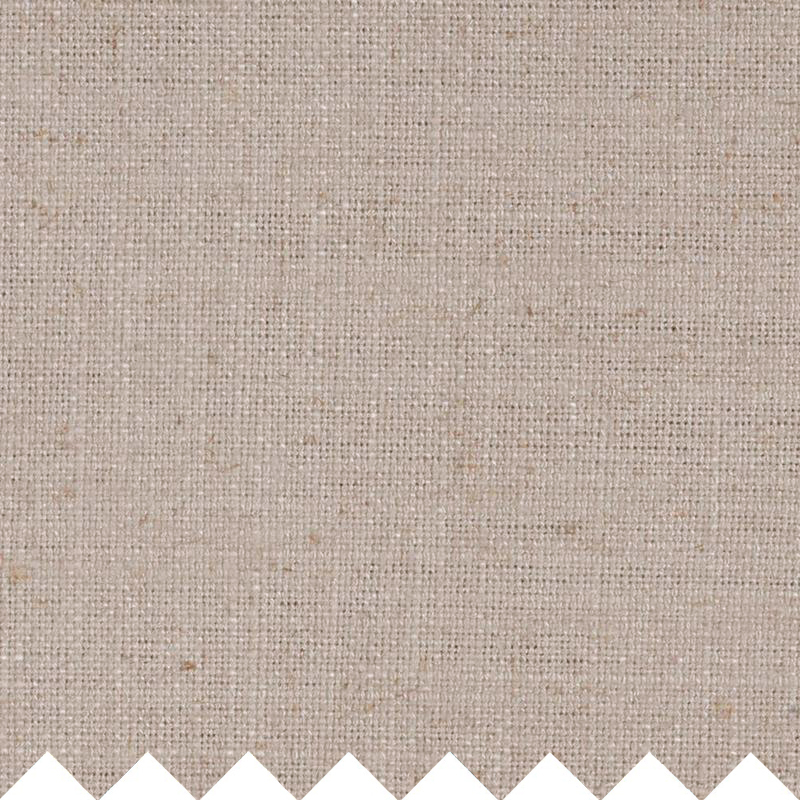 Elevate your style in any room with this stunning textile! 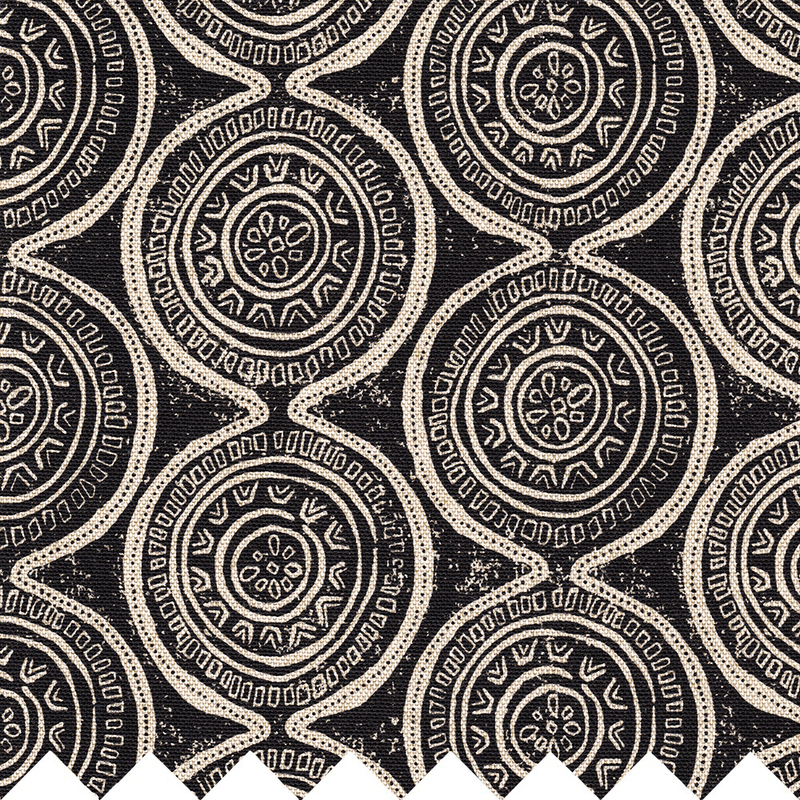 The overall print is black on an oatmeal background with pearlized gray metallic accents.